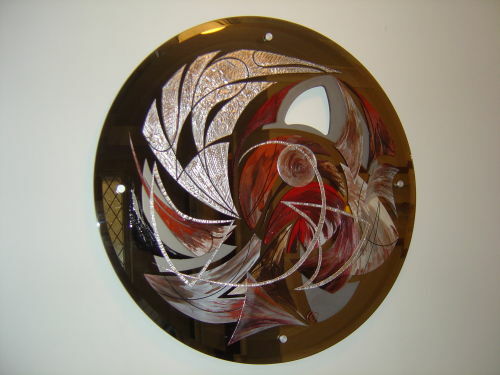 An original painting on a bronze mirrored glass. It has 4 stand off silver metal fittings allowing 1" gap with the wall when fitted. The painting is multi layered and 3 dimensional. The glass has a cut out and sand blasting in addition to a bevelled edge to create extra interest.